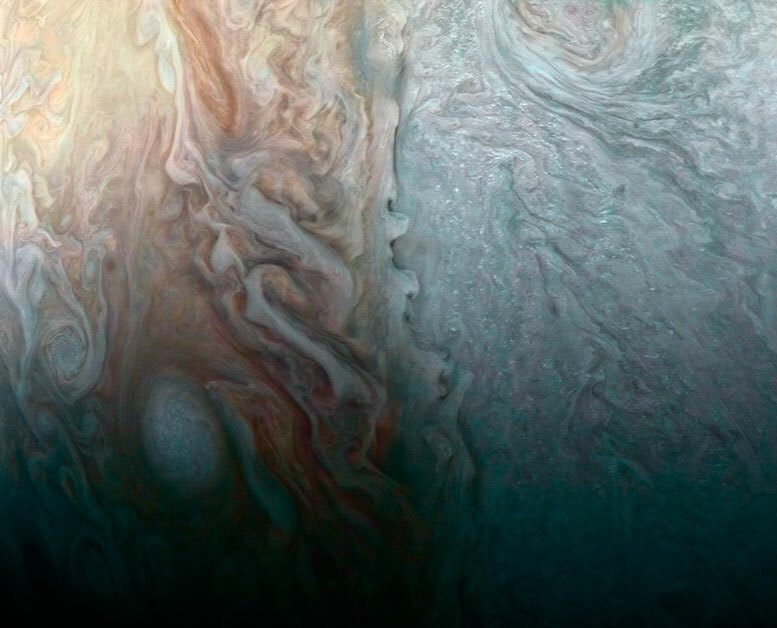 NASA’s Juno Spacecraft reveals “beauty and the beast” in a recent flyby of Jupiter. NASA’s Juno Spacecraft uses the JunoCam imager to highlight features on Jupiter where multiple atmospheric conditions appear to collide. The image was taken at a distance of 7,900 miles (12,700 kilometers) from the planet on March 27, 2017, as Juno performed a close flyby of Jupiter. Be the first to comment on "New Juno Spacecraft Image of Jupiter – When Jovian Light and Dark Collide"